Visit Kokatat's Ronin Pro page. Kokatat Ronin Pro Kayak Rescue Lifejacket - The Ronin Pro Kayak Rescue Lifejacket by Kokatat is simply the best rescue kayak PFD Kokatat has ever designed! The Ronin Pro is a low-profile vest that provides a comfortable, secure fit, full spinal and side protection, reflective accents and an integrated stretch mesh sleeve for a cowtail or small tow tether. 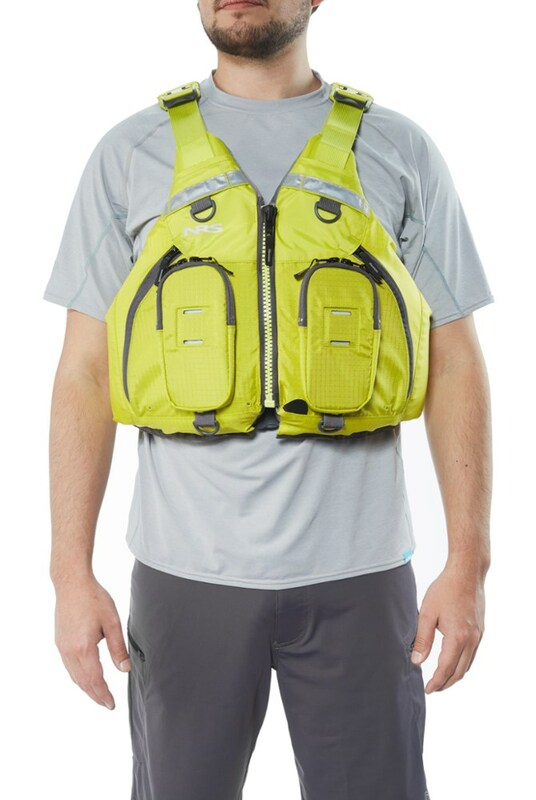 This innovative vest performs as well on the play wave as it does in the surf zone, making it a great choice for whitewater or ocean kayakers. It is constructed of GAI PVC-free foam with a durable Cordura exterior and a smooth oxford nylon interior. The reinforced adjustable shoulders with thermo-molded padding, side adjustments, and offset entry zipper ensure an excellent fit. 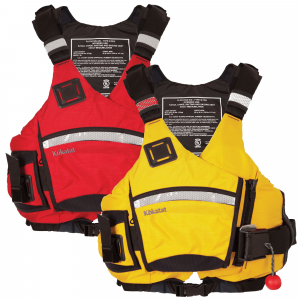 If your serious about safety and comfort when you are out on the water, make sure you pick up your Ronin Pro Kayak Rescue Lifejacket by Kokatat. 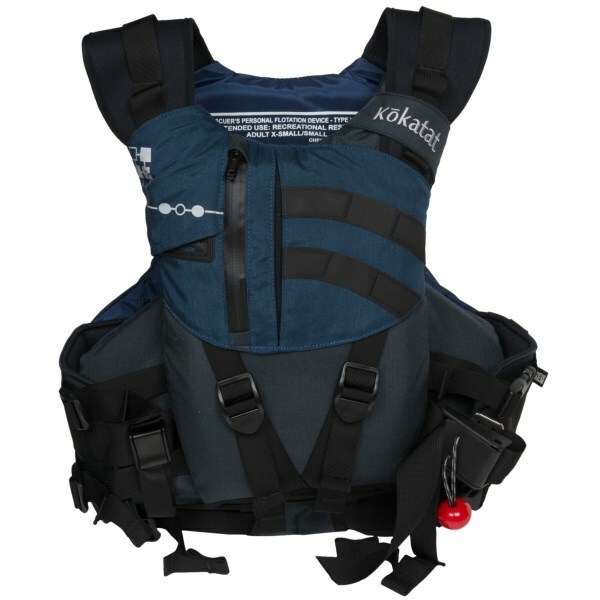 The Type V Kokatat Ronin Pro Personal Flotation Device provides full spinal and side protection, with an internal quick-release harness that also offers a comfortably secure fit. 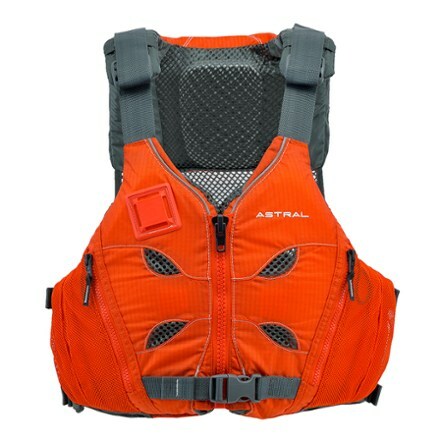 Its low-profile design includes a unique offset entry that allows maximum mobility without hindering your safety, and the stretch mesh back sleeve accommodates cowtails or whitewater tow tethers. Kokatat made the Ronin's exterior out of Cordura for durability and the interior from nylon oxford to keep you comfortable. 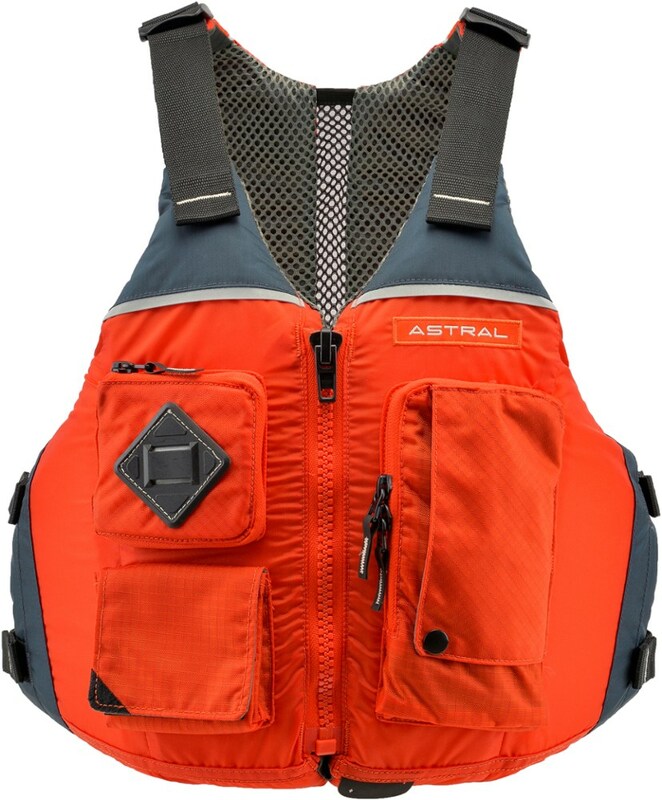 This Type-V certified PFD also features adjustable shoulders with thermo-molded padding for enhanced comfort, an internal grip panel for extra safety, one large front pocket with a lanyard attachment for your convenience, and reflective accents to keep you visible in low light. 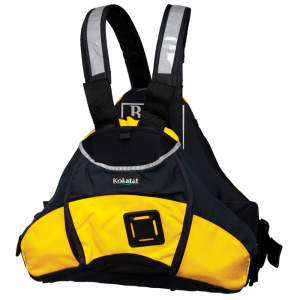 The Kokatat Ronin Pro is a low-profile rescue PFD offering full spinal and side protection with its unique internal harness that also provides a comfortable, secure fit. Its front-entry design ensures maximum mobility and safety convenience with a quick release chest harness and tether sleeve. This product will be shipped directly from Kokatat and will leave their warehouse in 1-2 business days. Eligible for UPS ground shipping only. CLOSEOUTS . 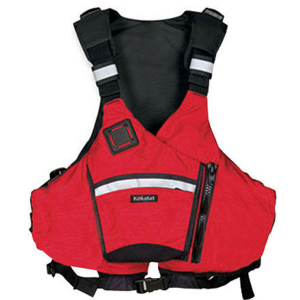 The Kokatat Ronin Pro PFD life jacket features full spinal and side protection, an internal harness system that prevents ride-up, and a front-entry design for maximum mobility. Available Colors: CANVAS, COAL, MANGO. Sizes: S/M, L/XL, 2XL.